Are Personal Loans a Scam? One of the reasons that I dislike payday loans so very much is because of the terribly high interest rates that the payday loan companies get away with charging. Couple that with the high fees, and it doesn’t take a genius to see why most people who know anything about personal finance will agree with the “parasitic lending” tag that I throw at them. By comparison, a personal loan isn’t much better. Or is it? 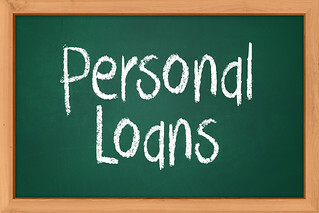 Personal loans have some of the same high interest rates, after all. Aren’t they just another way for the dastardly financial institutions to charge high rates, and rake in the high profits? Well, yes and no. Yes, they do charge high interest rates for personal loans, but there’s a very valid reason for that. And, as a generality, the rates are not as high as those charged for the payday loans. So, why do institutions charge higher rates for personal loans? The answer is in the guarantee. Guarantee? What the heck am I talking about? In a typical consumer loan, you’re buying something. Instead of a personal loan, you get an auto loan, a mortgage, or a recreational vehicle loan. In exchange for the loan money, the lender gets a claim on the title of the thing being bought. If you default on the loan, the lender can repossess the car, house, or ATV that you bought with the money. Because they have that collateral, the risk of losing money on the loan is decreased, and they can afford to give you a lower rate because of that decrease. A personal loan, has no such collateral. The only guarantee that you will pay the loan back is your signature. Coincidentally, that’s why they will sometimes be called “signature loans”. 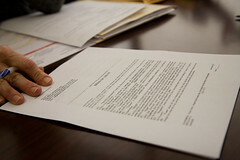 Because the lender cannot repossess your signature, the risk of default is raised. And, because it is raised, they charge higher interest rates. At this point, you’re probably asking yourself, “What’s the difference between a personal loan and a payday loan, then?” Truthfully, there is very little different. The one difference, and it’s one that makes a big difference, is that a personal loan is usually issued by a financial institution like a bank or credit union, whereas a payday loan is issued by that shady pawn shop across the street. And, as a general rule, banks and credit unions are a bit more upstanding than the pawn shop. In most cases, they have a good reason to treat you fairly. They want your business. Not just your next loan, but your savings too. If they treat you poorly and charge outrageous rates, you’re likely to find somewhere else to put your money. That pawn shop could care less. Another difference, that bears mentioning, is that banks and credit unions will usually require that you have a good to excellent credit rating before giving you a personal loan. For obvious reasons. The risk is already higher without collateral, so they don’t want to risk their money lending it to people who have sub-average credit scores. The pawn shop could care less. 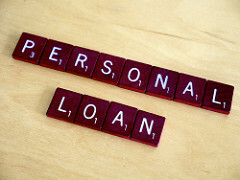 Have you ever borrowed a personal loan from a bank or credit union? From the pawn shop?